After a few months in development, The Little Shutter Shop website has gone live. With a great range of high quality shutters and blinds in a variety of affordable styles, you’re sure to find the perfect design to fit into your room. 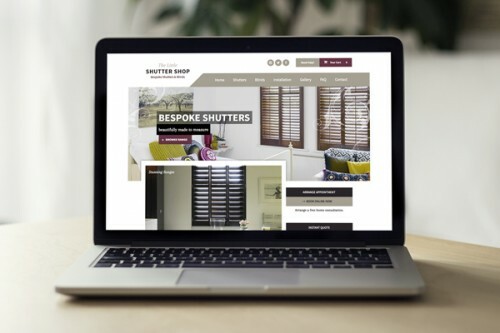 The new website boasts a range of fantastic features, including a custom built ‘Shutter Builder,’ which allows customers to design and build their own shutters and blinds online. With a range of styles, designs, sizes, frames and colours, your imagination is the limit with this helpful little tool.